Without any machinery or assistance, Ed carved, sculpted, and moved over 1,100 tons of coral. After the carvings were in place, the coral walls weigh 125 pounds per cubic foot. Each section of wall is 8 feet tall, 4 feet wide, 3 feet thick, and weighs over 58 tons. • Take 836 West - Exit 3A. • Take the Left fork onto FL-874 toward Homestead. • Merge onto 821 South. • Take Exit 5 onto SW 288th St.
• Turn Right on US-1 North. 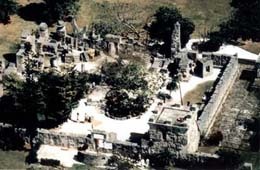 • Coral Castle is located on 28655 South Dixie Highway.